Follow these easy steps to get started using WP/LR Sync. 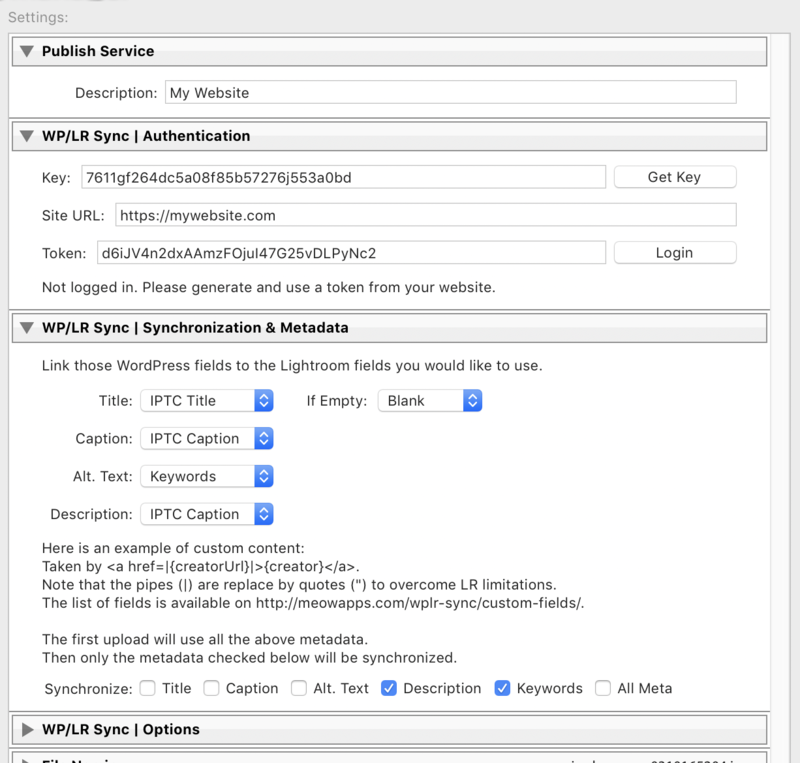 WP/LR Sync requires a plugin on the Lightroom side and another plugin on the WordPress side. The WordPress plugin can be found on the official WordPress repository. You can also install it directly from your WordPress by looking for “WP/LR”. There is nothing else to set-up on the WordPress side. You need to get a key on the Meow Apps Store here: WP/LR Sync (or the button on the left). By doing so, you will also get the latest version of the Plugin for LR. Unzip the plugin for LR in the directory where the plugins are kept on your system. Note that the uncompressed directory (from the zip) should be named wplr.lrplugin. The .lrplugin part of the filename is how Lightroom recognizes that it is indeed a plugin. Restart your Lightroom. In your Lightroom Plugin Manager, the plugin should appear. Enable it. If it is not listed, you will need to add it manually through the Add button and look for that .lrplugin file. If this explanation is not enough for you, check Jeffrey Friedl’s page about it: how to install Lightroom plugins. Add a new WP/LR Sync Publish Service. Go the the Publishing Manager, click Add, and select WP/LR Sync. The window containing the settings of the Publish Service for WP/LR Sync should appear. The Serial (License Key), The WordPress URL of your website, and the Token are mandatory fields. The WordPress URL should be the base URL of your website. Be careful with the https or http, www or not www, and don’t include /wp-admin or /wp-login. 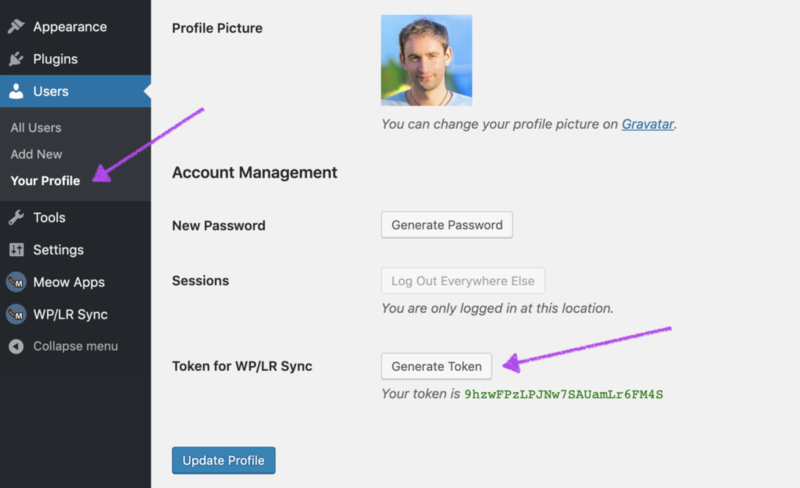 You will be able to get the Token on your User Profile, the in admin of your WordPress website (click on Generate Token). Once entered, click on the Log In button and you will be able to save those settings and use this new service immediately. If you get an error, please check this: Debug Errors & Connectivity. 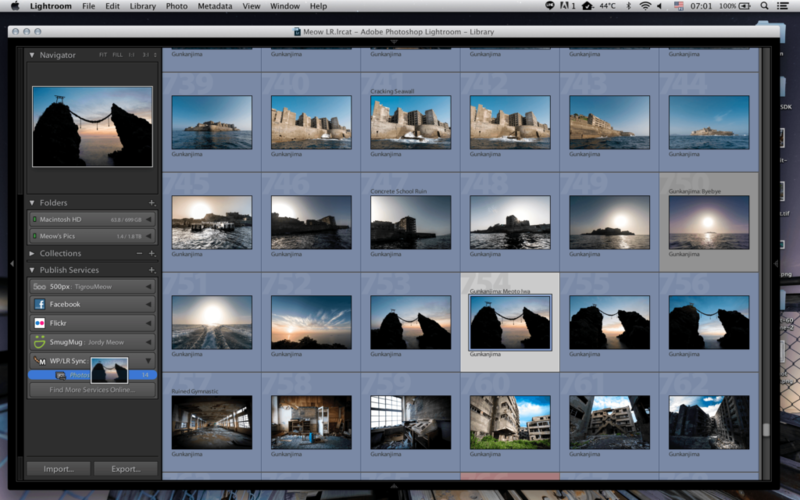 In the Synchronization / Meta section , you can link your Lightroom fields to your WordPress fields. On the first upload on a photo, those fields will be used. On future synchronizations, only the ones checked below will be updated. You can choose this way to manage those fields in WordPress rather than in Lightroom. Then you should tweak the settings a bit. I actually suggest you the settings below. If you don’t set any limits (Image Sizing), the generated images might be too large and WordPress (or any other plugin) might generate an error. Do not worry much about the Resolution (set at 240ppi here). If you do, have a look at this article. You are all set! Like a normal Lightroom Publish Service, you can drag & drop photos in the folder called Photos and Publish them. If you make any modification on those photos, you will be able to synchronize those changes via the Publish button. Photos added in the collection called Photos will be only available in the Media Library. If you create collections, smart collections (in folder(s) or not), the photos in those will be also available in your Media Library. The hierarchy of folders and collections is stored internally by WP/LR Sync in WordPress and can be used by themes or other plugins through the extensions. You don’t know about extensions yet? Check here. In the settings of the WP/LR Sync Publish Service, you should define the way those filenames are decided. Here is what it looks like. There is no correlation between the filename of your photo on your hard-drive (in Lightroom) and the one used by WordPress. The first time WP/LR Sync uploads a photo, this filename (based on the File Naming screen) will be used. Then, on further synchronizations, the filename will rename the same one (to avoid breaking anything in your HTML, by safety). If you wish to rename your files after they have been uploaded to the Media Library, have a look at the Media File Renamer plugin. You can also enable the Debugging Tools in the Settings and then you will be able to check that the hierarchy of collections, the hierarchy of keywords and other things. All this data can be used by other plugins and themes through the WP/LR Sync API. If you want to take care of (= linking) all the photos that you previously uploaded before using WP/LR Sync, the next step is to use the Total Synchronization module. Now you are uploading nice and big photos from Lightroom. You might want to use my Retina plugin to support Retina screens and make sure your website looks beautiful on every device. You also might want to optimize those images (especially since WordPress generates a bunch of them, of every size registered by your theme/plugins). Check this if you want to know more about optimizing your images: Image Optimization for WordPress. Do you want to go further, and sync WP/LR Sync with your theme portfolio, galleries, or something else? WP/LR Sync is very powerful and can do a lot of things for you. Check about the extensions.